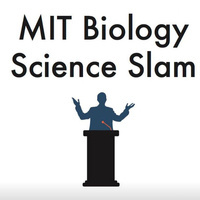 Following the success of last year’s event, the Department of Biology is sponsoring a special Tuesday Colloquium once again — the Science Slam — that gives 8-10 biology graduate students and postdocs the chance to present their research in three minutes with one visual. Participants will compete to earn favor with audience members and judges, including John Pham, editor-in-chief of Cell, and the winner will earn a cash prize. The Science Slam will take the place of regular Colloquium on Tuesday, April 23. Questions? Reach out to bioslam@mit.edu.